1. It is OK to cry. This is the first point of Dr. Roark’s article, too, and it is just as important with horses. As horse folks, our relationships with our horses have added dimensions to our relationships with our pets. Horses are often companions, yes, but also teachers, caregivers, therapists, and teammates. There is something magical about an animal that is 10 times our size and lets us be in charge. Your veterinarian and veterinary technician love horses, too; please know that if your veterinarian isn’t also in tears, it is not from lack of caring, but from self-protection. We need to focus on our aid to the animal in relieving suffering and being strong for you. 2. We take the term “euthanasia” seriously. The word “euthanasia” is from the Greek, and literally translates to “the good death.” We are privileged in veterinary medicine to have the ability to end suffering, and have a responsibility to do so in a way that is painless and minimizes stress. There are many different approaches, the most common being inducing general anesthesia and either overdosing the anesthetic drug or giving another drug to stop the heart. Some horses will take some breaths and move a bit when anesthetized, but the horse is under general anesthesia and completely unaware of what is happening. Another method, also humane when practiced by someone who is proficient at this method, is a projectile to the brain. 3. If possible, plan ahead. Sometimes we are faced with making emergency decisions, but the more prepared we can be, the better. The medication used for the overdose of anesthesia remains in the horse’s body and is a risk to any animal that consumes it. The U.S. Fish and Wildlife Service has more information about this on their website and laws to protect animals from being poisoned. Having a burial or disposal plan in advance can be very helpful to minimize risk to wildlife and other animals. Having a heavy large tarp and weights for emergency use can prevent contact with the body and intoxication of other animals. Once you have your disposal or burial plan lined out, focus on planning the best day for your horse and you together. We don’t always have the luxury of choosing when to let our friends go. Sometimes they go on their own, and sometimes they endure an untreatable injury or circumstance that warrants prompt euthanasia. However, if you are able to, pick a nice day, when the sun is shining and the barn is quiet. Don’t rush, make sure you will be able to spend some “one-on-one” time with your horse that day, doing all of your normal things. You will not regret it, we promise. 4. It can be dangerous. As much as we, your veterinary team, wish this could be the most gentle moment of your horse’s life, it is typically a fairly abrupt “fall” to the ground. Some horses lie down peacefully, but some have a brief excitement response to the medication, and may fall down stiffly or even try to rear over. Please try to keep this in mind, as it can be startling, and differs very much from having your dog or cat put to sleep. Lying down, as you know, is not a very natural behavior for a horse, especially out in the open and in the presence of people. It is a natural and comforting behavior for your dog or cat to lie in your lap, and so when your pet is euthanized, it is common for them to be sleeping in your lap and pass peacefully. 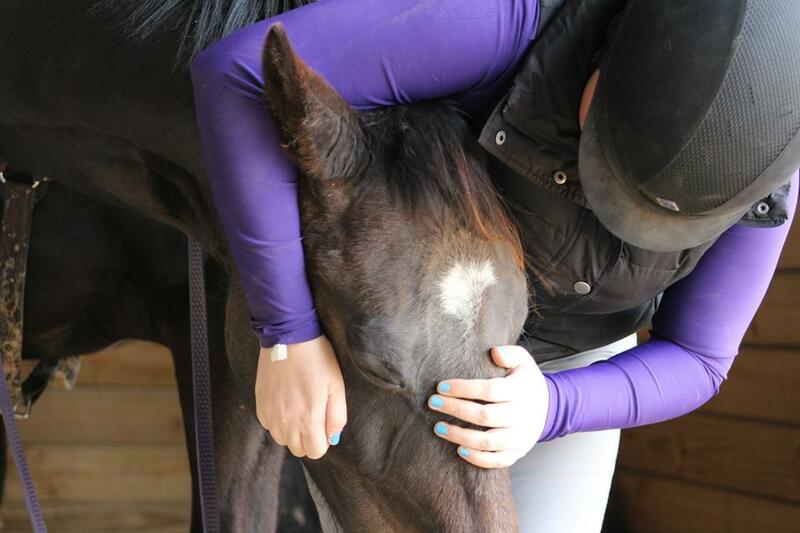 However, the final moments of your horse’s life can be just as comforting for both of you if you do your normal routine and show them affection and love right up until they are euthanized. Stand with them, let them have some grass or their favorite treats. Let them be in a familiar area, as long as it is safe and other horses are not present. Rub their head (or their favorite spot that only you know) and talk to them just like you always do. Be their friend through it all, and when you are ready, step back and let your veterinarian do what you cannot. The last thing your horse will remember is you and their life which was so good. Take comfort in knowing that the reason your horse falls so abruptly is because the drugs we administer to euthanize a horse IMMEDIATELY affect the brain, removing your horse’s awareness and also removing their ability to “right” themselves (or stand). This also means, however, that your horse is not aware of any discomfort or pain as life leaves their body. 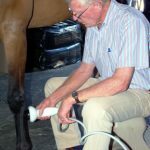 We, as veterinarians, choose to perform euthanasia this way, purely because we do not in any way want to prolong the process or allow your horse to feel any anxiety or discomfort. 5. Don’t feel bad about not being there. If you don’t feel like you can be present, that is ok; it can be a hard thing to watch and an upsetting last memory. Remember to take care of yourself and give yourself permission to grieve in your own way. After your horse has passed, share your memories with us. Tell us your favorite story. We love horses, and putting horses to sleep is hard for us, too. Sharing in the memories of a horse’s life well lived and well loved can bring a smile to the heaviest of hearts. 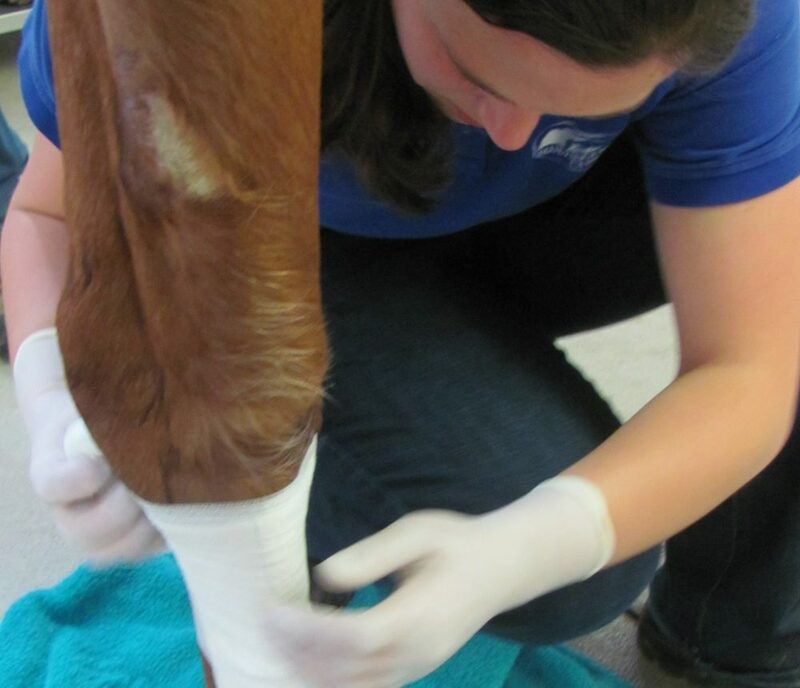 Thank you to Blue Ridge Equine Clinic’s Malorie Kemmerer, LVT for her valuable contributions to this article.